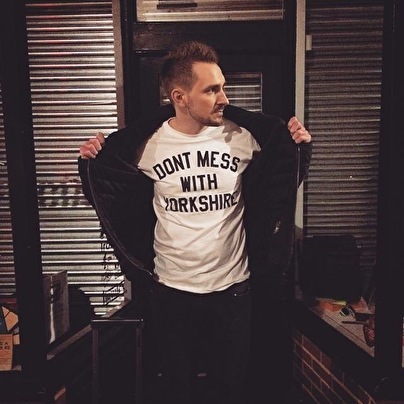 Leeds based Ryan Wild AKA Jack Sparrow has been producing his own strain of Dubstep since 2006 and in that time has shown his versatility in the studio ranging from dark tribal Techno to heavy "soundsytem" Dubstep styles. With residencies at Exodus/Dmz Leeds and Outlook festival (voted best european music festival 2011) he has fast become a household name all over the globe regularly touring Asia,Europe and UK with his take on Dubstep. His Debut album Circadian followed a string of releases with Pinch's tectonic label based in bristol and achieved a 4.5 stars from the like of Resident Advisor (4.5 stars) and Mixmag (4 stars) and also charting highly in the best albums of 2010. Jack Sparrow has also shown his versatility by remixing for many names and labels including Skepta (3Beat), Count and Sinden (Domino), Birdy (Atlantic), XXXY (Pollen), Mumdance (Mad Decent), Photek (Tectonic) and RSS (Wall Of Sound) amongst others. Jack has also worked closely with Loopmasters in 2011 to develop sample cd's for other producers to use within dubstep productions. Sparrow is also 1 half of production duo "Author" (Tectonic) who released their debut album in November 2011 which sees a musical take on Dubstep. Jack Sparrow and Ruckspin have been touring globally the Author live show to sold out events with a great reception.